Once again, Total Waterpolo sets out to find the past season's best in total. An eventful year filled with action-packed world-class water polo definitely left us wondering, who will take the professional community's most prestigious title. The 2nd installment of the Total Player Award will feature more experts than ever before. An exclusive jury of the world's best coaches and media platforms will pick their Top 5 in a series of posts to be published on our website. And for the first time ever, the community will weigh in on the decision! This year's Total Player Award will crown both, the best female and the best male athlete of 2017/2018. As water polo develops all players deserve to receive the same recognition for their tremendous efforts. In the end, two athletes will be able to call themselves one title: The Best. Vote for your personal Total Player 2018 from a list of potential Frontrunners, predetermined by our expert jurors. Support whoever you think deserves the title and tip the scales in their favor. Community voting will commence on December 10th. The Results are in! Stay tuned to find out, who secured the Community Vote and if it was able to tip the scales. The second installment of the TOTAL PLAYER of the year AWARD grows bigger than its predecessor, with the inclusion of all female water polo athletes. This year, two athletes who have proven themselves against their competition will be able to call themselves the TOTAL PLAYER 2018. This marks the next big step in further globalizing the incredible performance of all water polo athletes competing in the pools among the world. The Total Jury Just Grew Bigger - and Better! While the most accomplished coaches and water polo authorities from the international stage again join to give us their personal Top 5 picks for 2018, this time around, we invite the Total Waterpolo Community to join the vote. Pick your Total Players and make your voice heard in the Total Player Community Poll! Watch out for the posts dropping daily - make sure to follow us on facebook to not miss a single one. 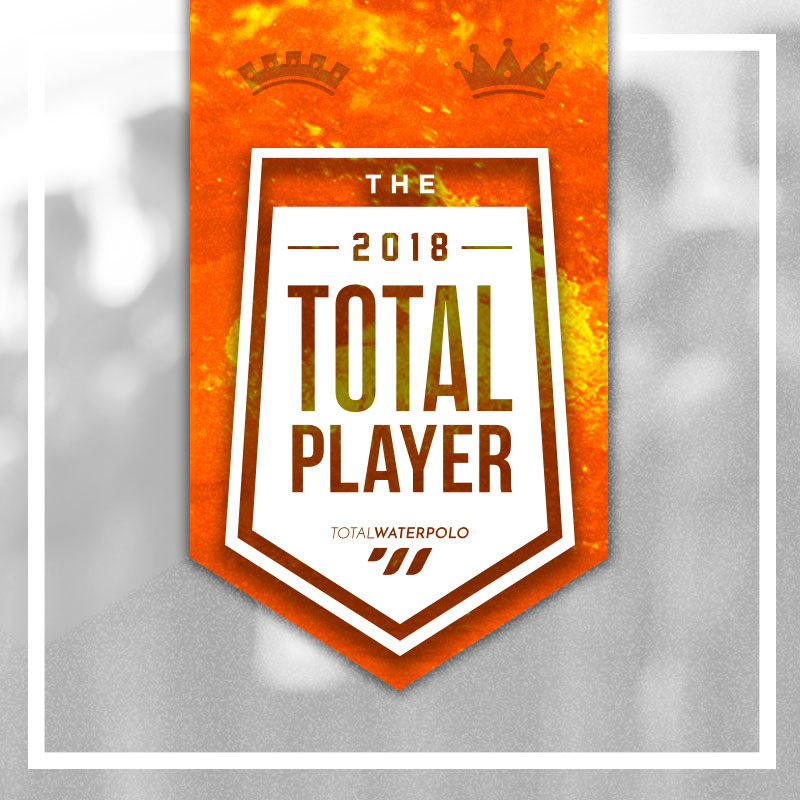 The Total Player 2018 voting will commence mid-December, followed by the crowning of the winning athletes. Watch out for the posts dropping almost daily - make sure to follow us on facebook to not miss a single one. 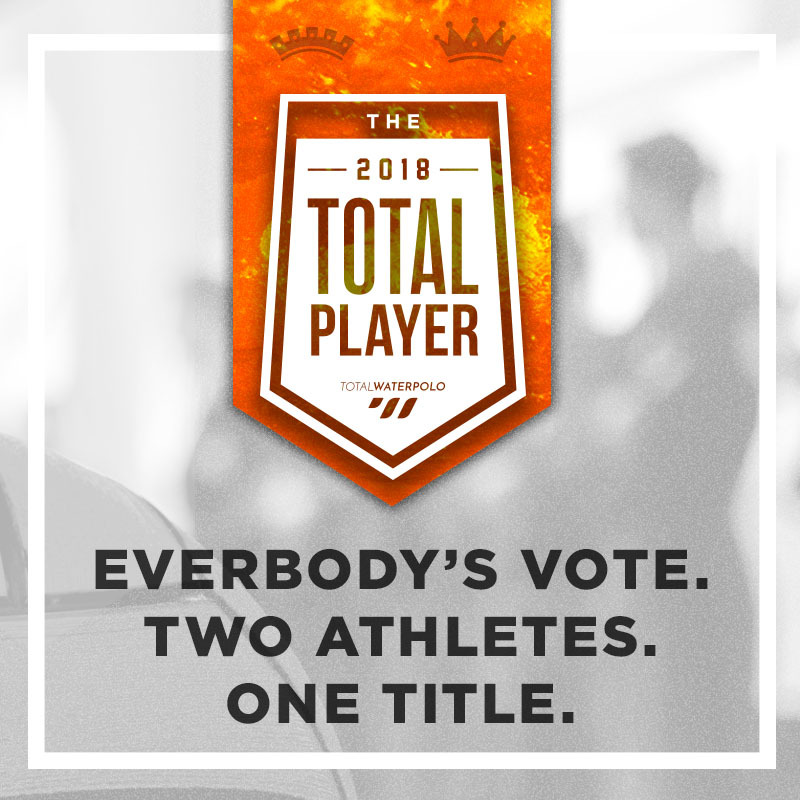 The Total Player 2018 voting will commence mid-December, followed by the crowning of the winning athlete. The Total Player Award represents the highest recognition from the international competitive water polo scene a single athlete can receive. It proves the undeniable impact the player has had even among the most critical minds of the craft. With the inclusion of the public vote, the stakes just got upped to the next level. The voices of the public will make up 20 percent of the total votes, and the remaining 80 percent will be chosen by the jury of coaches from 16 countries, mostly those who have conquered World and European Championships and won Olympic medals. The public community vote concludes on the 10th of December.